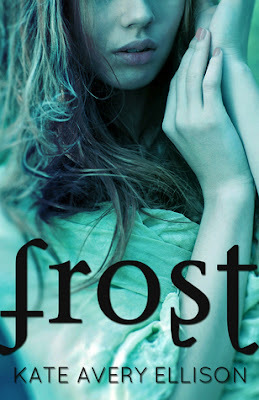 Today we have an excerpt to share with you as a part of the Frost blog tour! Kate Avery Ellison has shared an awesome scene with us. Also there is a giveaway for not one but 10 chances to win an ebook of Frost so make sure to fill out the rafflecopter form below. Haven’t heard of Frost? Check out the synopsis! In the icy, monster-plagued world of the Frost, one wrong move and a person could end up dead—and Lia Weaver knows this better than anyone. After monsters kill her parents, she must keep the family farm running despite the freezing cold and threat of monster attacks or risk losing her siblings to reassignment by the village Elders. With dangers on all sides and failure just one wrong step away, she can’t afford to let her emotions lead her astray. So when her sister finds a fugitive bleeding to death in the forest—a young stranger named Gabe—Lia surprises herself and does the unthinkable. She saves his life. Giving shelter to the fugitive could get her in trouble. The Elders have always described the advanced society of people beyond the Frost, the “Farthers,” as ruthless and cruel. But Lia is startled to find that Gabe is empathetic and intelligent…and handsome. She might even be falling in love with him. But time is running out. The monsters from the forest circle the farm at night. The village leader is starting to ask questions. Farther soldiers are searching for Gabe. Lia must locate a secret organization called the Thorns to help Gabe escape to safety, but every move she makes puts her in more danger. Is compassion—and love—worth the risk? And on to the excerpt! “We know enough,” Cole interrupted. He scowled. “Greetings,” a low, smooth voice interjected into our conversation. I looked up quickly. Had he heard our words about him? My face flushed. My friends were frozen in quiet. Beside me, Cole’s eyes narrowed, and I saw his jaw twitch out of the corner of my eye. But Adam was looking only at me. I straightened my shoulders. I would not cower under his gaze, even though it was wild and sharp as a hawk’s. He was slender, with dark hair that fell into his eyes, and he wore a thick blue cloak as ragged as mine. We were both from farms outside the village walls. Like me, he knew the dangers of the forest because he experienced them firsthand. The word slid through the air, sharp as a knife blade. I sucked in a sharp breath. He was waiting for me to speak to him about the vicious creatures that prowled our forests at night as casually as we might speak of the weather. I could just say it. No, I haven’t seen any Watchers. And I won’t be so foolish as to trust you to protect me from them, either. The words burned hot on my tongue, but I couldn’t spit them out. My friends shuffled their feet, looking at him with thinly disguised hostility. Nothing had been proven, and there were no charges made against the family, but it was clear what everyone thought. And now here he was, bringing up that word—Watchers—like nothing was wrong. Make sure to check out all the other tour stops for more excerpts, reviews, guest posts, and chances to win! I don't have a favorite book ;) I really like Jellicoe Road by Melina Marchetta, Graceling by Kristin Cashore, All of Robin McKinkeys stuff, and many more. I have a lot of books that are favorites of mine - it's impossible to pick just one! I'm not sure I have a *favorite* book, one I read recently that I enjoyed tons was Cold Fury and two old ones I continue to love are Rebecca and The Awakening. The Book Thief is one of my all time favorites.